This weekend, the 11th annual Canadian Brewing Awards will be held in Victoria, B.C. 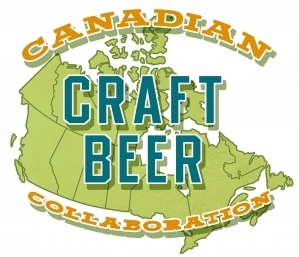 Aside from the usual judging and awarding of medals to various styles of beers entered by many professional breweries across the country, those running the CBAs decided to try something new: Canada’s first ever national beer collaboration. Involving 25 different Canadian breweries across 7 provinces, this brew will include an ingredient from each brewery that represents the region where they are located. The style is an Imperial Witbier named “Red and White Wit”. When the beer is released in early June, it will be available only on draft in the Victoria area. All proceeds will be donated to a charity that will be announced in the near future. Garrison Brewing from Halifax, Nova Scotia and Picaroons from Fredericton, New Brunswick will be representing the Atlantic provinces. Garrison Brewing has posted on their Facebook page that they will be contributing 4 kg of Nova Scotia honey from Smeltzer’s. We are not yet sure what ingredient Picaroons will be bringing to the mix. The actual brew day will take place at Phillips Brewing Co. on Friday, May 10th.